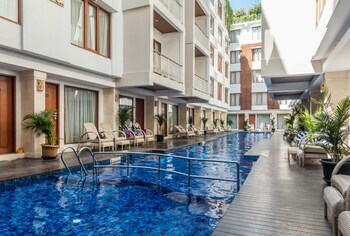 Located in Legian (Legian City-Centre), ZEN Rooms Benesari 5 Legian Kuta is within a 10-minute walk of Kuta Beach and Legian Beach. Featured amenities include a 24-hour front desk and an elevator (lift). Free self parking is available onsite.